This is a summary of the recommendations contained in our audit and inspection reports over the past several years. In addition, some general lab safety recommendations have been added. It is intended to provide a broader overview of the types of issues and concerns raised during these consultations. 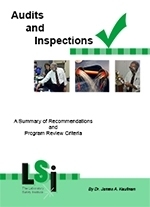 A summary of recommendations and Program Review Criteria. 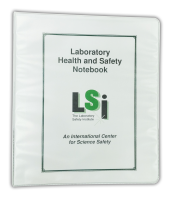 A valuable asset for anyone needed to preform lab inspections and evaluate lab safety programs! Including the Five-Diamond Recognition System for Lab Safety Program Achievement. 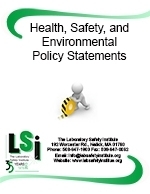 During the past 35 years, LSI has been conducting audits and inspections in laboratories and other workplaces. There have been literally thousands of labs, storage rooms, classrooms, and numerous other areas (fire departments, artist studios, crime labs, jails, libraries, theaters, and more). In addition, we’ve been training people how to conduct these audits and inspections. From time to time, someone one will ask what we do and what we’ve seen. This is a summary of the recommendations contained in our audit and inspection reports over the past several years. In addition, some general lab safety recommendations have been added. It is intended to provide a broader overview of the types of issues and concerns raised during these consultations.